Organic cereal with corn, quinoa and maple syrup. 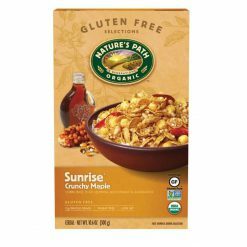 Delicious and organic with a delicious maple flavour, this cereal is made from organic whole-grain flakes, quinoa puffs and crispies. It also containins organic flaxseeds.